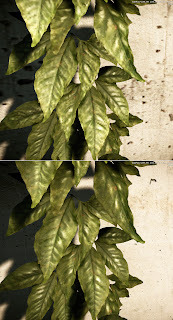 I thought a bit about the vegetation of the game and I wanted to do some tests with new textures to highlight the leaves. Then I tried a few pictures for materials ivy. They are only a few tests but maybe I will finish textures because I'm liking the result. First test modifying bump map and adding a little bump detail with my own alienskin texture. Third test creating new diffuse and bump. OH MY GOD. I don't think I could stand the awesomeness of this thing when it will be released. Just too much awesome. For the DX9 version of the game, the textures will be the same, just without Tesselation and Parallax, but with the bug-fixes for the maps, right? 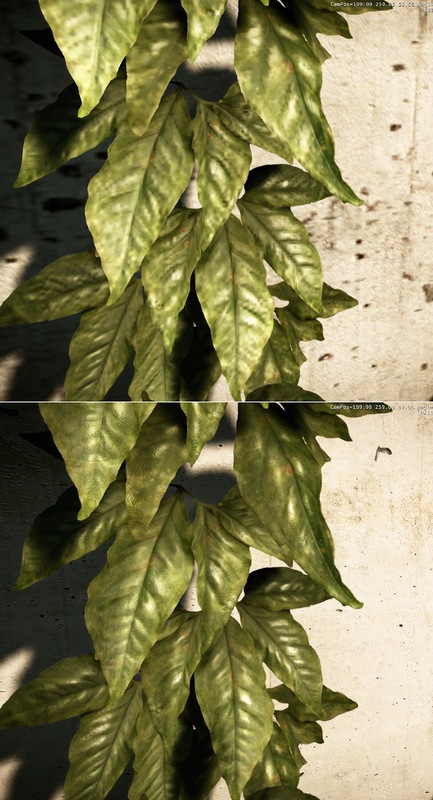 It's make the leaves more real ! It looks absolutely awesome !!! Take your time to finish and replace the leaves !!! Man. This is amazing work. I'm stunned at how powerful this engine really is and the level of MaLDo's dedication, skill and tenacity to continue to better his art. Cheers MaLDo. Hey maldo, I just wonder if you envisage to remake the clouds. The sky in crysis is not very impressiv as the rest of the game. ^I second that. Oh and this looks absolutely amazing! 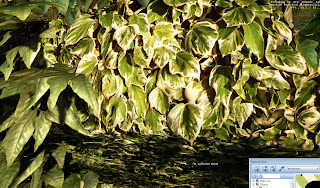 Are you planning on replacing all vegetation? 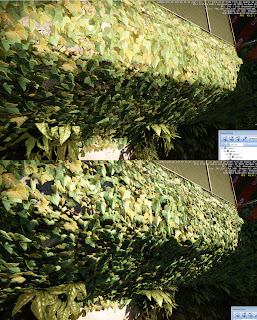 I believe some of the current leaves/tree branches in the game look out of place, in terms of colour. Someone knows how to save a diffuse texture with 1 bit alpha layer? Everytime I use crytiff, alpha saves in grayscale. I can save some memory if I can save with 1 bit alpha. Maldo, make another campaign to acquire a 2GB card. 2GB are becoming standart in 2012. Lex4art told me in crydev forums how to save 1 bit alpha channel with crytiff. Works perfect. I thought I had tested all crytiff presets in the past but maybe I miss something. 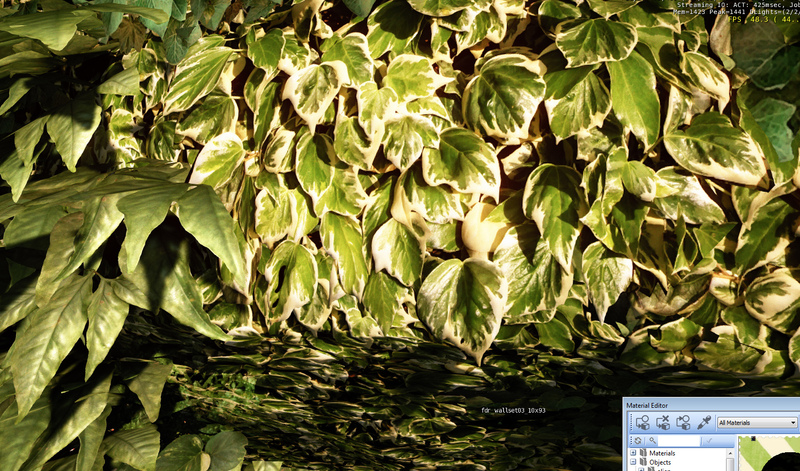 Now I can reduce fallen leaves texture from 5.4 Mb to 2.6 Mb with very little loss of quality in borders. I can't use for decals but all the textures with alpha mask for bump detail will occupy less memory. Fantastic! Good thing I have a 7950 3GB coming for review :D Keep up the insane work man:) Also MaLDo I sent you a email.